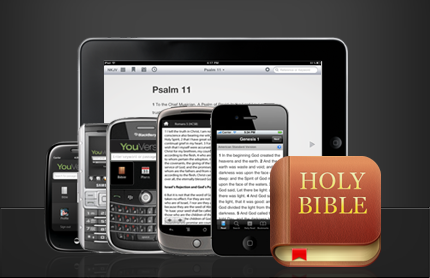 make the word of God available in the country’s four main languages at the touch of a button. Yoruba, Igbo, Hausa and even pidgin English downloads are available, catering to the masses of devout Christians in one of the world’s fastest-growing mobile phone markets. “With this innovation, you do not need the Internet to read the Bible,” the University of Lagos student told AFP. “Neither do you need to bring a Bible to church. “You have it in the local language of your choice on your phone.” Yoruba, Igbo and Hausa versions of the Bible have long been in existence and date from the time of the first missionaries to Nigeria in the 19th century. Pidgin — the widely spoken patois heard throughout the country — is only a more recent addition. The pidgin version of the New Testament was formally launched last year by the Christian Association of Nigeria. - Facebook inspiration - Sowole cites Facebook founder Mark Zuckerberg as his guiding light. “Zuckerberg is my hero and I get my inspiration from him. I am towing his line,” he added. He set about developing the apps in April last year and by October had finished his task. Yoruba, Igbo and Hausa versions have both the Old and New Testament, while the pidgin app only has the latter for now. One of the most famous Bible passages, John 3:16-17, reads in English: “For God so loved the world that He gave His only begotten Son, that whoever believes in Him should not perish but have everlasting life. “For God did not send His Son into the world to condemn the world, but that the world through Him might be saved.” In pidgin, it translates as: “Bikos God luv di pipol wey dey dis wold wel-wel, E kon send di onli pikin wey E get to us, so dat enibodi wey biliv am, nor go die, bot e go get life wey nor dey end. “God nor send en pikin kom kondem di pipol wey dey insaid di wold, bot mak e kom save dem.” - A Nigerian Bill Gates? - Sowole’s effort won him the best student app category of a competition organised by Nigeria’s largest mobile phone service provider, MTN, and a one million naira ($6,200, 4,475 euro) prize. Certainly, the app has a ready market: Nigeria is Africa’s most populous nation with some 170 million people. Evangelical churches dominate the south and religion frames everyday life. As of February this year, there were some 126 million mobile phone subscriptions, according to the Nigerian Communications Commission. The growth in telecoms this month saw the government include the sector in the country’s revised gross domestic product calculations for the first time. But Sowole does not have his eyes on profitability for now. The apps are available to download for free at wazobiabible.com “I entered the competition to make many people know about my app project, my IT skills and my God-given talent,” said the student, the son of a retired oil worker father and a trader mother. The accolade and resulting publicity has made him a star on campus and plaudits from his lecturers. “We were all happy for him that he won the prize,” said one of his classmates, Tayo Jabar. “He is humble and not in any way arrogant. We love him for the fact that he is still the same person even after he has acquired fame.” Sowole is now working to develop other smartphone applications to suit the Nigerian market, convinced the country could one day provide the world with the next technology tycoon. “I believe I have not really achieved much. I believe we can have another Bill Gates and other IT giants among the Nigerian youths. I can be one,” he added.